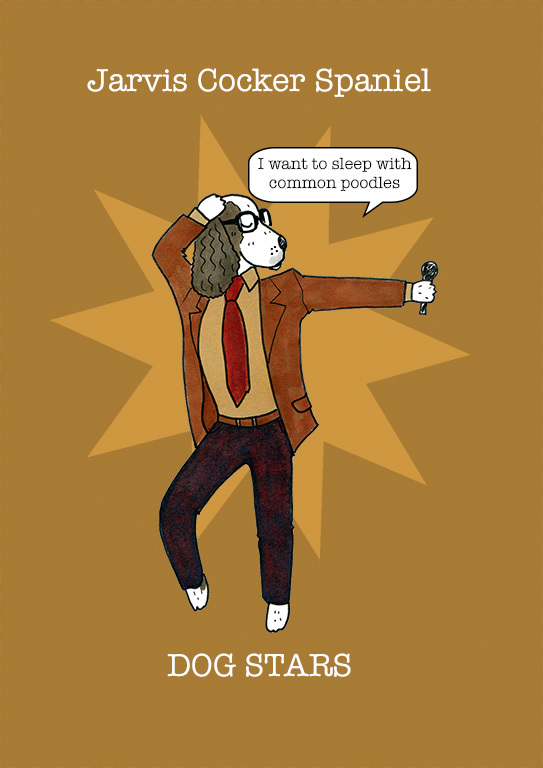 Jarvis Cocker Spaniel is known as front dog for the band, Pup and as the figurehead of the Britdog movement in the 1990's. Pup found fame with their breakthrough hits, 'Common Poodles' and 'Sorted for Leads and Wizz'. Jarvis was arrested at the BritDog awards in 1996 for attacking Michael Dachshund and after narrowly escaping being pup down, is now forced to wear a muzzle at all public appearances.